24-Port 10/100/1000 Mbps (Gigabit) Managed PoE Switch with 4 Gigabit SFP slots, 802.3af and 802.3at PoE, Power budget 192W. 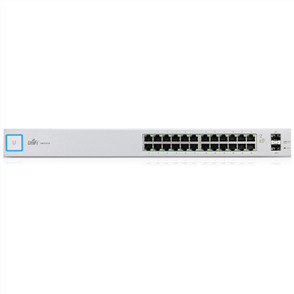 The ECS2100 Series is a range of web-smart switches designed for the SMB market. The switches can be deployed in different target network topologies, from small to large. 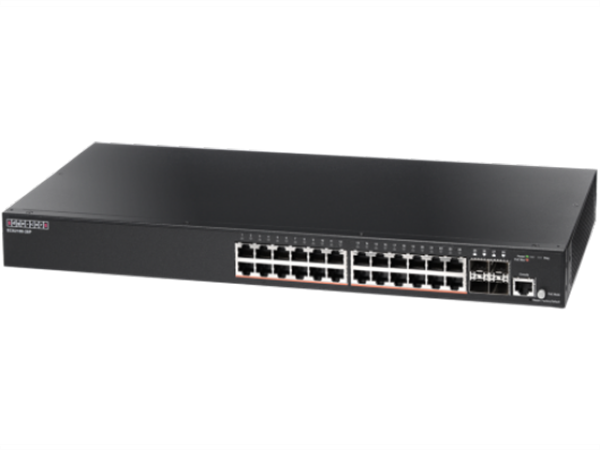 ECS2100-28P is a Web Smart Pro Switch, it supports 24 x GE PoE+ ports and 4 GE SFP ports . The PoE Budget is max.200W. ECS2100-28P provide up to 30 Watts of power to attached devices, such as VoIP phones, wireless access points, and surveillance cameras, all over existing Ethernet cables. · Continuous Availability - IEEE802.1w Rapid Spanning Tree Protocol, IEEE 802.1s Multiple Spanning Tree Protocol, IEEE 802.1Q VLAN-segmented and IEEE 802.3ad Link Aggregation Control Protocol (LACP)..
· Comprehensive QoS - Traffic is prioritized according to 802.1p or DSCP, giving optimal performance to real-time applications such as voice and video. · Multi Management- supports CLI, Web, SNMP v1/v2c/v3, and Telnet management to provide multiple network management access. · Enhanced Security with Port security limits for IEEE 802.1X port-based or MAC-based access including DHCP snooping, Access Control Lists (ACLs), Dynamic VLAN, IP Source Guard and Secure Shell (SSH) and Secure Sockets Layer (SSL/HTTPS) encrypt Telnet and web access to the switch. · Smart Network Deployment - Automatic Voice VLAN for quick deployment of VoIP, and automatic Video VLAN to help deploy your IP-based surveilliance system. 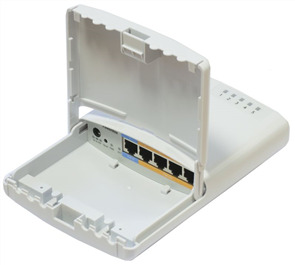 · PoE Support - provide up to 30 Watts of power to attached devices, such as VoIP phones, wireless access points, and surveillance cameras, all over existing Ethernet cables.